The month long contest has finally come to an end. Are you ready for the results? So... are you ready to know the results?? 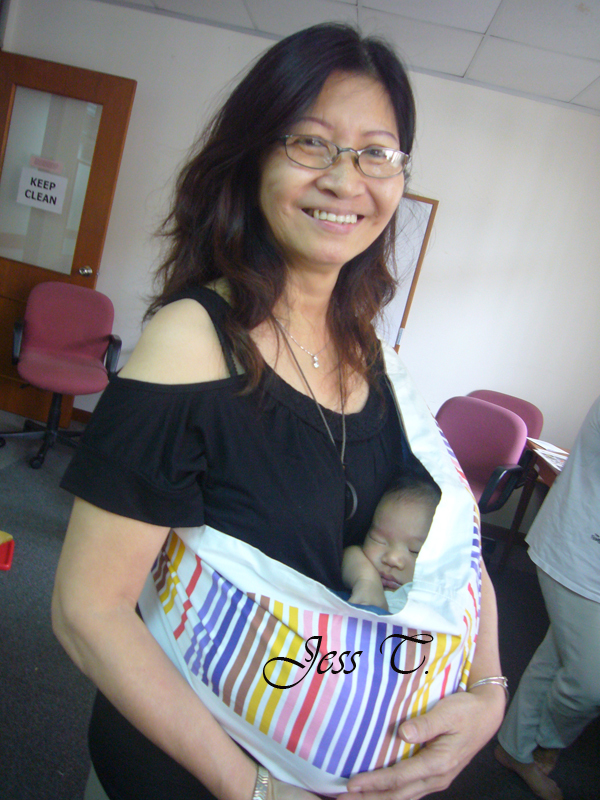 What does Baby Wearing means to You? Bonding with my beautiful bouncing, baby boy. Baby wearing has allowed me to form a bond with my baby that can never be erased. 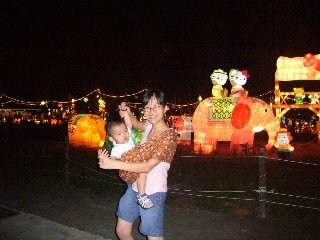 A baby is a gift of life and baby wearing is a gift I give to my darling little boy. Best possible way to protect and nurture my bundle of joy, especially when out and about in the community. Young infant, yearning to be nurtured. I love looking down at my little boy’s, beautiful big, brown eyes and his button nose when he is in my pouch or sling below. When I cradle my baby in my pouch or sling, he snuggles in and drifts off to sleep. It seems that he sleeps best and has a good rest when he is in the safety of my baby carrier. Enchanting boyish gin that awaits me every time my baby is near me in my pouch or sling. I am certain that he loves to be baby worn. 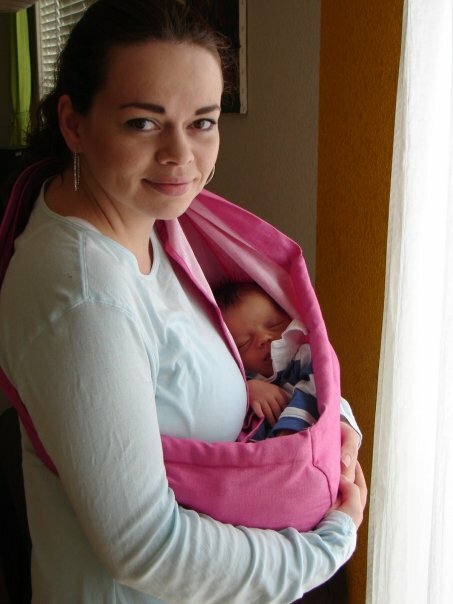 A trendy little carrier, which comes in many colours, shapes and styles. Perhaps this is why there are so many anonymous on lookers who stop and stare, but dare not ask as you walk by. 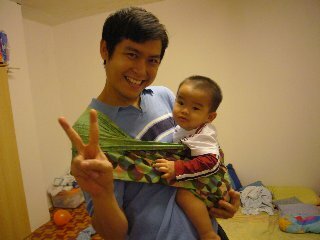 I think they are always amazed at how a piece of cloth can support and hold my little child. Right choice I made when deciding to baby wear my precious little darling. Every time my little one holds onto my pouch or sling he reminds me of the little things he does and how much I cherish baby wearing him. Incredible and endless number of possibilities baby wearing allows me, not only when accessing places, but also when doing things in tandem. Not only does baby wearing benefit my baby and I now, but later on the cherished moments of baby wearing will last a life time. It’s also nice to see my little daughter, my sweetheart, mimic me when she plays with her dolls and makes a pouch or sling from a simple piece of cloth to carry her baby doll or teddy bear in. Grateful of the opportunity I have to baby wear my dear little boy. 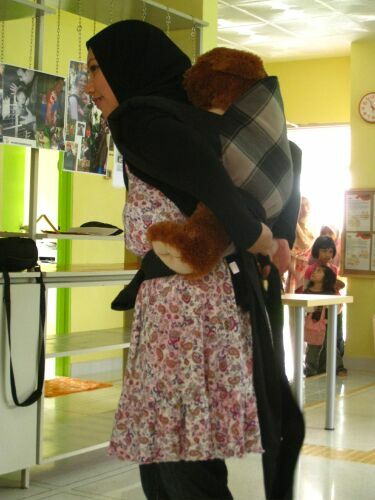 The joy that baby wearing brings to me, will always remain near and dear to my heart. I can not imagine what my life would be like without wearing my precious child. CONGRATULATIONS to... Alison Johansen Saw!!! Thank you so much for all your participations. Just as I am accepting the fact that weekends are reserved for family days and not online time (I usually DO NOT get much emails over weekends), contest entries came pouring in! Total entries that came in today is almost as much as what came in from the very first day the contests started! Keep them coming if you are still trying to get them in. 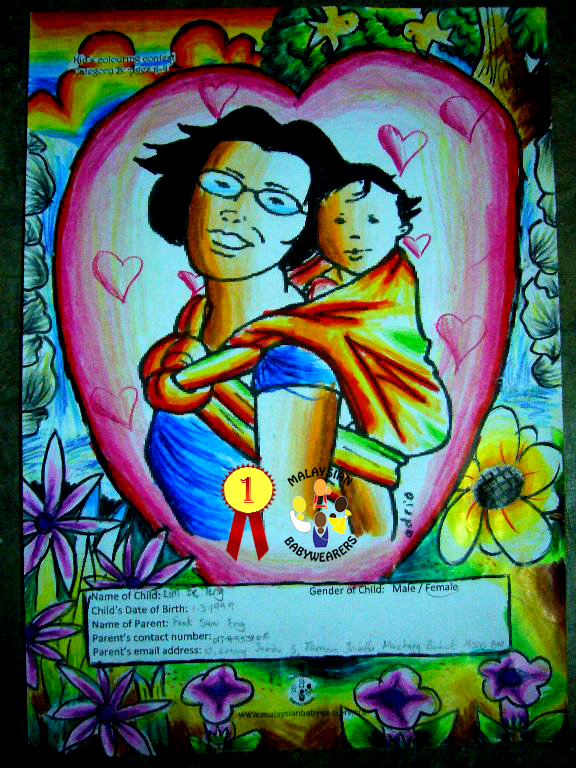 To enocourage you to put in that last picture you forgot to submit and to give you time for that very last line to finish up your story, all entries received by 7am, 1st December 2008 are all eligible. Do check back on the 15th December to see who got lucky! Or, who's got the skills! Until then, Selamat Babywearing and hope you enjoyed the events and activities brought to you by Malaysian Babywearers in conjunction with International Babywearing Week 2008. It was great honour to be invited to promote and share information at the Penang Adventist Hospital last Sunday during their Kangaroo Club meeting. 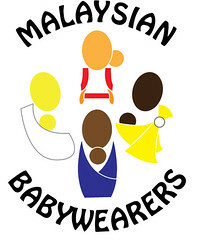 It was overall an eventful day for us from MBW as we managed to create awareness (Imagine... no one raised their hands when asked if they know what 'Babywearing' means... it started with quite a few blank and/or curious looks, really). And, on our way back... guess what we saw! Im a bit nervous with ibw walk at qb mall coz I totally forgot the penang marathon bridge run will be held (start/finish) at qb mall as well. Several roads will be closed and sure the parking space would be packed. But im totally wrong. The road is clear and the parking space is more clear hehehehe. Since anis woke uplate,I manage to go there on 11 am. We promised to meet near coffe bean on 10.30am. when I arrive, all of them are ready to start the walk. Everyone are so ‘bersemangat”. 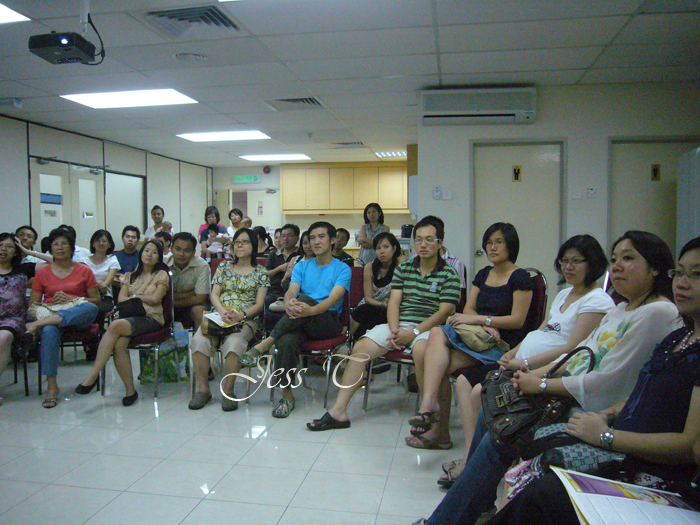 We wait for a while for other members to come but after half and hour of chit chatting among us, we decide to start off. 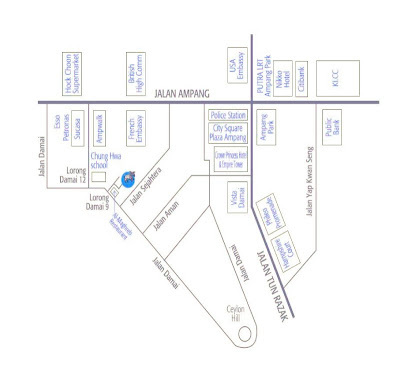 We start the walk from coffee bean at north zone towards poslaju at south zone. 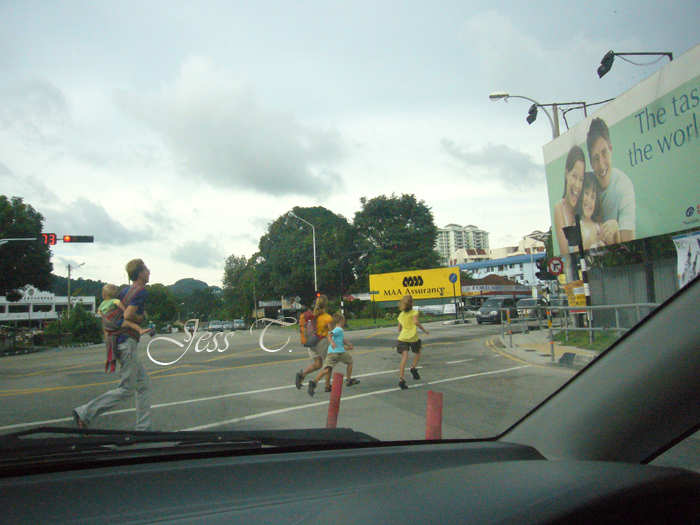 While we are walking , sure we got some attention but nobody dare to approach us. Hahahaha. 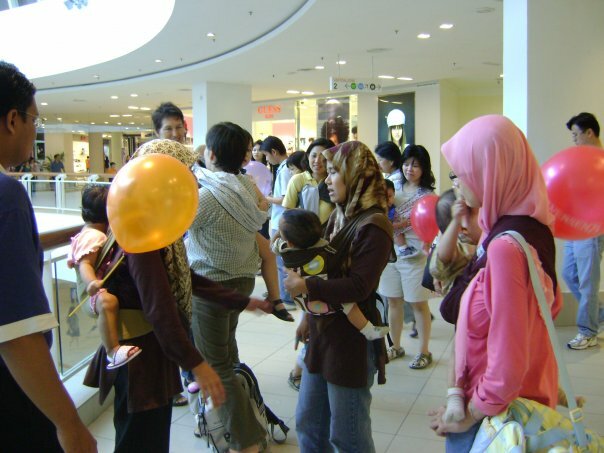 We also not dare to approach people as we dun have any permission to hold any formal gathering in qb mall. It was a happy moment for us. We discuss about different carriers. 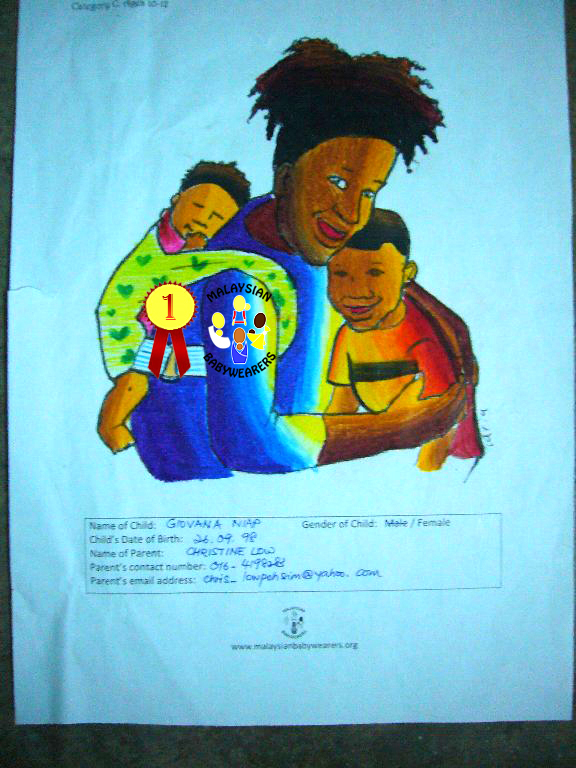 We chi chat aout our children being wear. Evethough it’s a sleepy time for this babies (noon), these babies didn’t fussy at all. They being so contented im the sling till they sleepy soundly.. it just the mother who very kepoh with each other. So excited being walking in the group. No more people dare to call us bibik becoz we are not alone. From the poslaju, we take an escaloator to another floor.what a breeze taking an escalator without being worried if the baby would fall from the stroller. 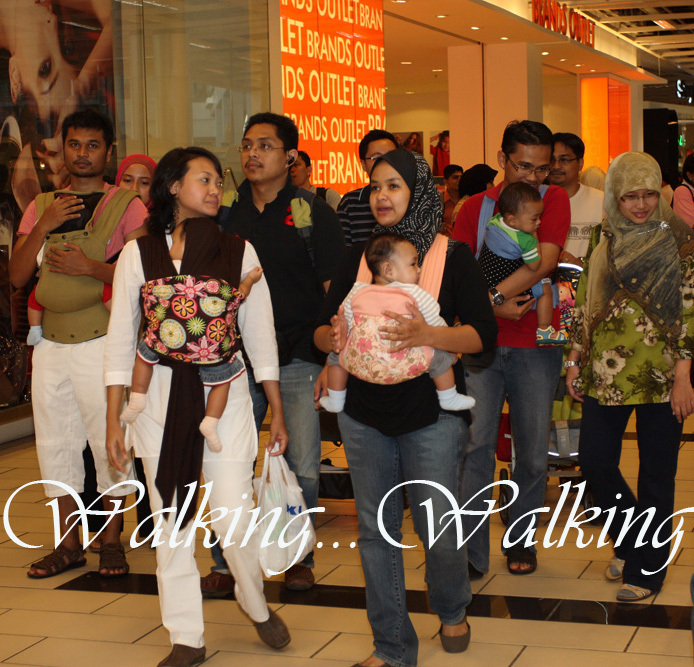 That what worries me evrytime I saw a stroller being push down/up towards escalator. From jusco baby department, we go having a lunch at swensons. Very meriah with baby, mommies and daddies. It just a very great time to have this bw awareness walk. We should do this again. It was a beautiful, sunny day as Babywearers from KL gathered casually for the very first time just to walk around, shop around, have lunch together, catch up and above all, HAVE FUN! 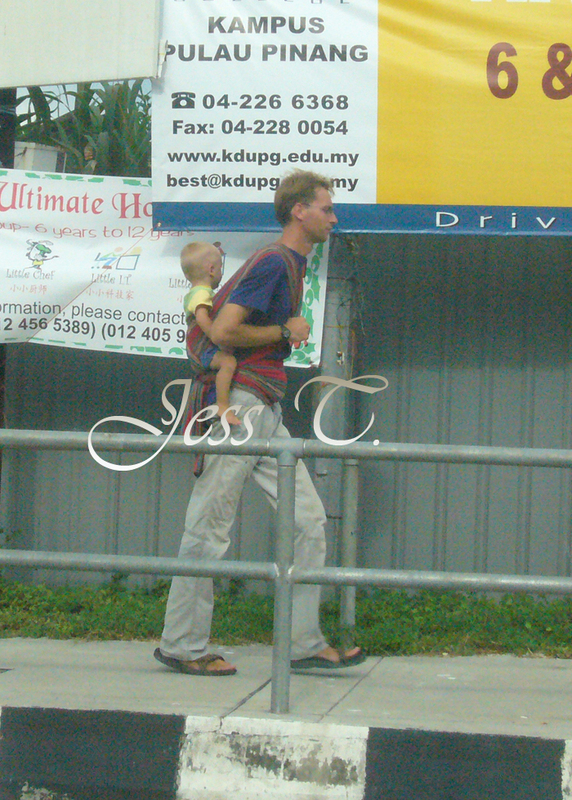 The 'walk' was organised by us in conjunction with International Babywearing Week 2008. 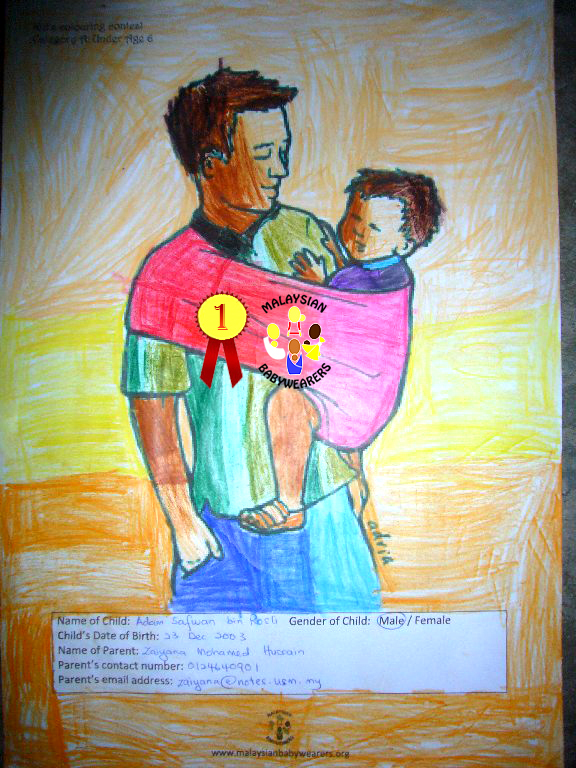 On this special day, babywearers across the globe joins the fun, sharin the same passion : to promote the love they found in babywearing. Gathered around a play area located on level 2 of The Curve, we started our walk at around 10.30am, with about 20 babywearers - a much better turn out than the expected 15 that registered with us. The first targeted area was what was meant to be the most crowded place in The Curve during weekends - The Flea Market - only there was no flea market on that day. Later did we find out that it was due to the settings/work that's taking place for Christmas decor. 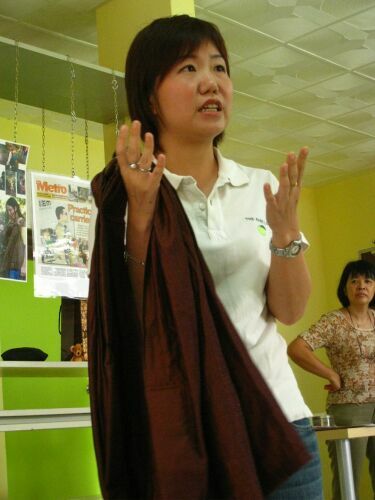 In conjunction with International Babywearing Week 2008, Malaysian Babywearers organised a Babywearing Workshop for the very first time. With effort from the MBW Committee members and our local sponsors, the event was held at Teeny Tiny Tapir, Ampang, KUALA LUMPUR. Hit of the day is probably the three lucky draw sessions where we gave out some sponsored gifts... a MummyHugs pouch, a Littlepods pouch and a mystery gift sponsored by Peekaroobaby. Here, you see Cressa of Teeny Tiny Tapir drawing one of the three draws. 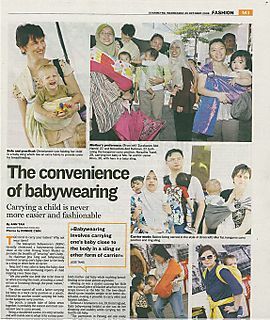 Apart from the Babywearing Show where all sorts of babywearing options are being introduced to the participants, we focused on a few of the more common carriers... namely, the pouch, the ring sling, mei tai, Soft Structured Carriers (SSC) and Simple Pieces Of Cloth (SPOC). With assistance from vendors, professional in their respective fields, details of each were shared. 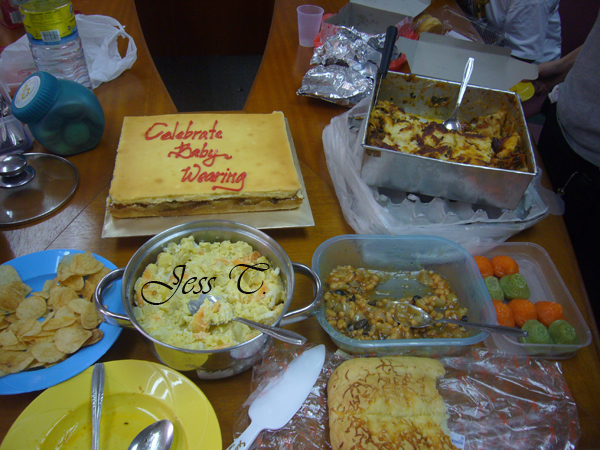 It is International Babywearing Week this week and the last Penang Gathering on Nov 8 was just simply to Celebrate Babywearing! It was a fun gathering and above all, it attracted some new participants from the launch of the IBW08 launch at the Little Penang Street Market. And, who is to say, after this gathering, that only Moms would wear their babies? Don't miss out on the chance to win yourself a carrier! Grab your cameras, put on your thinking cap or get your little ones to start colouring now! It's also a front cover! We're in the Front Cover of the Papers!!! This is published in the Metro (Northern section) of The Star on the 29th October 2008. We, at MBW, sure are a happy bunch we get this kind of publicity! IBW08 celebrations by MBW launched!! 1. Open to Malaysians and residents of Malaysia. Malaysians staying abroad are welcomed to participate but are to bear postage costs of prizes if appears to be the resulting winner. 2. Proof of postage is not proof of receipt. 3. 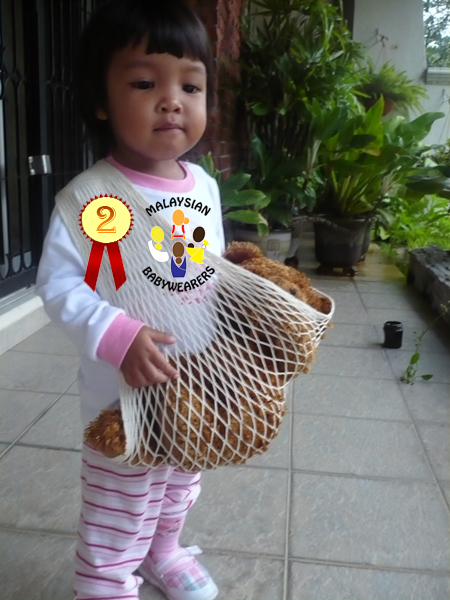 Submitted entries becomes the property of Malaysian Babywearers and are non-returnable. 3. All entries are to reach us no later than 30th November 2008. 4. 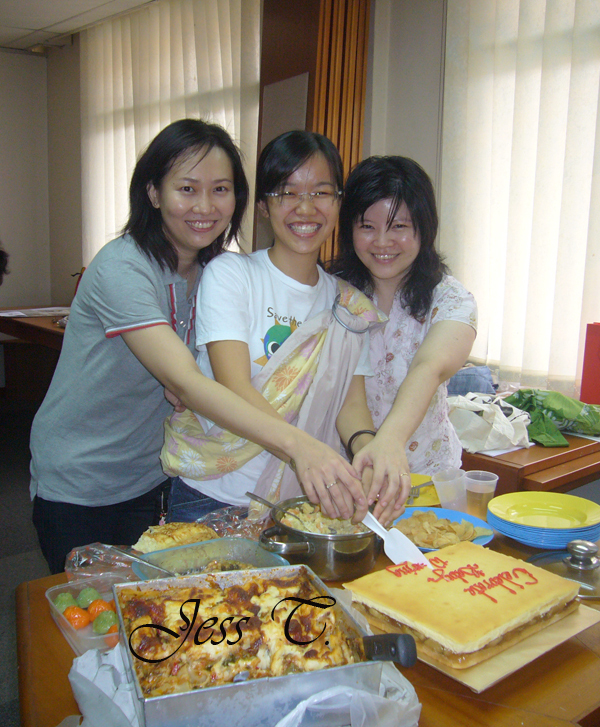 Results will be posted online (in our blog) on 15th December 2008. 5. Winners will be notified via email. Please ensure email is provided/correct. 6. Results are final and no correspondence will be entertained. 7. 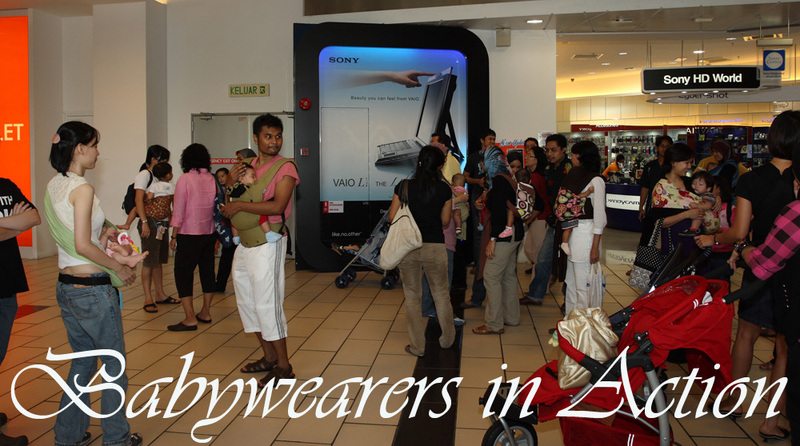 Malaysian Babywearers reserves the right to ammend the terms and conditions without prior notice. 8. Sponsors reserves the right to exchange prizes to one of equivalent value. 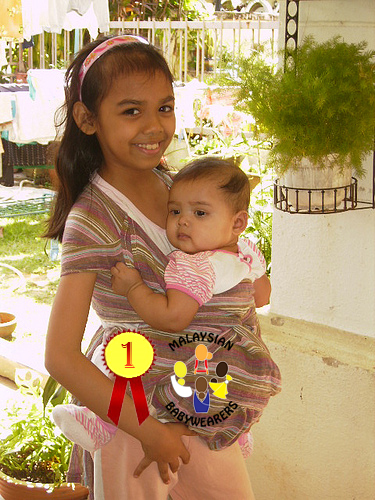 Story Contest: What does Babywearing means to You? 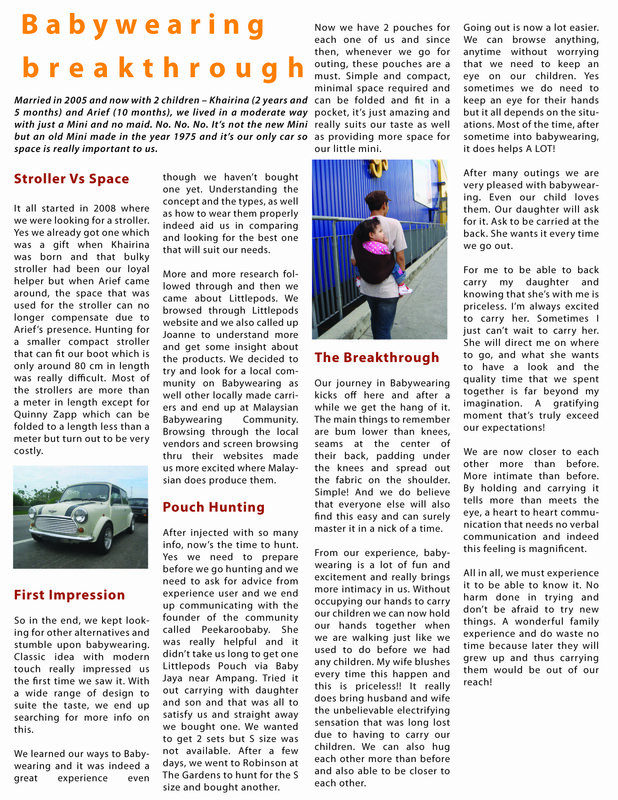 In no less than 500 words, tell us your story starting with "Babywearing..."
The story can be your Babywearing encounter or experience or simply what babywearing means to you! Get your thinking cap on for the grand prize of all contests! A Kangaroo Korner adjustable pouch! To enter, download and printout the relevant entry forms from the selection from below in WHITE, A4 paper. PLEASE NOTE THAT YOU WILL NEED TO CHOOSE GRAYSCALE PRINTING for best print out. For fair judgement, ONLY COLOURED PENCILS are allowed. In conjunction with International Babywearing Week, we are also organising a Babywearing Workshop at Teeny Tiny Tapir, Ampang. For a mere RM20 admission fees, which is fully redeemable on any carriers purchased on the day, refreshments are provided and you get a feast on your eyes with a Babywearing Show featuring different carrier options! What's more??!! You get to try on the carrier of your choice and if you get lucky, you might even win yourself a sling in the Lucky Draw! Limited to 40 persons only. 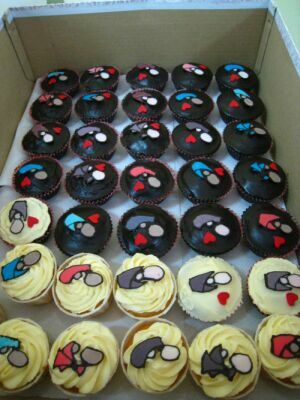 RSVP by emailing malaysianbabywearers-at-gmail-dot-com. Admission : RM20 (fully redeemable on any carriers purchased on the day). WARNING! These rings COULD BREAK!